Striking red-edged petals make an automatic focal point! 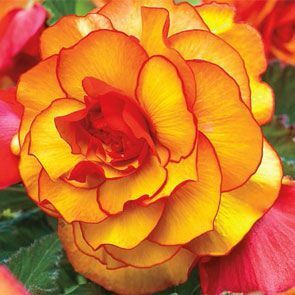 You'll want to plant this begonia in a prominent place! Measuring 6-8" across, the double yellow flowers with fine red-lined edges are absolutely breathtaking. Green arrow-shaped leaves complement the colourful blooms. 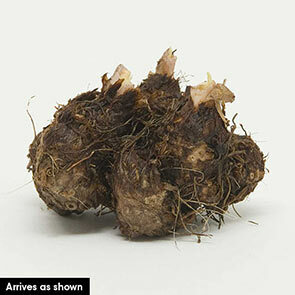 Ideal for front borders, rock gardens, mass plantings or containers.